From December 8-10, 2014, Yosemite Gateway Partners (YGP) collaborated with Yosemite National Park (NPS) to present the first ever Yosemite Sustainability Conference. This histopric conference was unique in several ways. First, it was in Yosemite National Park who has been practicing sustainability for 150 years, dating back to the years of John Muir. There was a remarkable wealth of information about the impacts of change over this period of time. Second, we succeeded in fulfilling our pledge to provide participants with implementable solutions upon its completion. This was a hands-on conference connecting people looking for solutions with those that have the solutions and those that have implemented those solutions. This all occurred in one of the most amazing locations on the planet. The conference also provided information about some of the most concerning environmental impacts such as climate change, greenhouse gases reduction, water management, energy management, waste stream reduction, and transportation fuels. We were joined by dozens of organizations, presenters, and groups to interact with the right people in the right setting. Throughout the conference, thought leaders and experts shared their knowledge and experiences to help participants cope with the most pressing of environmental concerns and achieve the very best in sustainability practices. There were also many opportunities to network with the experts. 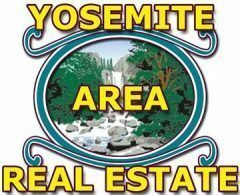 Yosemite Gateway Partners is a non-profit organization made up of individuals from surrounding communities that have a vested interest in Yosemite National Park. YGP has been working with the National Park Service (NPS) since 2006 and has been involved with the park on many important issues. In 2014, YGP supported the park and local communities by hosting the first ever Yosemite Sustainability Conference in Yosemite Valley. Our 2014 Yosemite Sustainability Conference fully supported the Yosemite’s 2020 Strategic Vision, which urges that “…we carry out our mission and core values, and is a call to action for every person that comes in contact with Yosemite National Park to model sustainability.” This message will reach more than 4,000,000 Park visitors each year.